Based on the famous classic novel Les Miserables. Being a single mother is hard in early 19th Century France. When young Cosette was traveling with her mother trying to find a job and a place to live, they were always shunned away because very few employers hire single mothers. When she is promised with the prosperity of working in the big city, Cosette is separated from her mother in the hopes a caretaker will watch over her while her mother earns some money. Unfortunately this was a trick and the caretaker is a corrupt man who makes Cosette his indentured servant. Then the kind mayor of the town that Cosette makes her new home in sees how winds of change are so detrimental for children and families, and decides to do something about it. 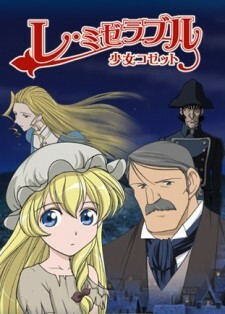 Watch Les Misérables: Shoujo Cosette Episodes Online at Animegg.org. Les Misérables: Shoujo Cosette is available in High Definition only through Animegg.org. Choose an episode below and start watching Les Misérables: Shoujo Cosette in Subbed & Dubbed HD now.